Sound familiar? More and more Christians today are asking questions like these as they grapple with how to live out their faith in that world that seems to change at dizzying speed. We all feel the struggle between standing firm in our faith while loving others. Or, as Jesus described it, being in the world but not of it (see John 17:16). It can be difficult to navigate. But as followers of Jesus, we have an important message to share. Jesus commanded us to go into the world and “make disciples of all nations” (Matthew 28:19), and His sacrifice on the Cross makes it possible for all people — no matter how different they might seem from us — to find hope in a relationship with the living God. 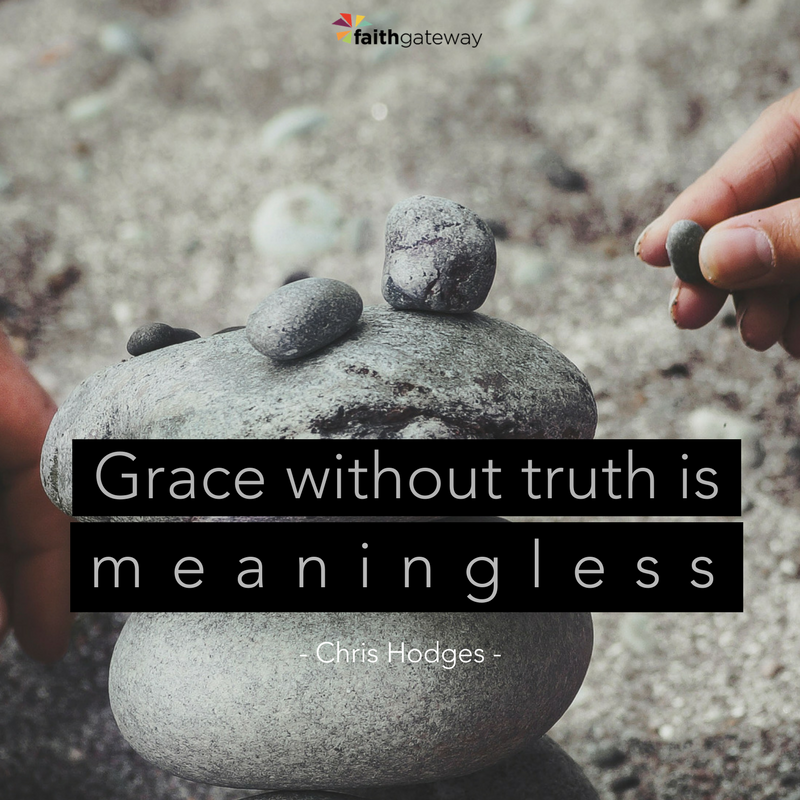 When those around us experience His forgiveness, they can begin living in the freedom of His grace. The challenge, of course, occurs when our beliefs, convictions, practices, and lifestyles collide with those of the people we are trying to reach. God’s Word instructs us to go one way, but they insist on going their own way. In such situations, we are faced with the responsibility to stand firm in our faith while continuing to love others like Jesus loves them. Finding balance while living in this tension is what The Daniel Dilemma is all about. While the book focuses on the prophet Daniel’s example of living faithfully within the secular culture of Babylon, in this study we will focus on the issues Daniel faced — issues we still face today — with Jesus as our model and guide. As challenging and frustrating as it may feel sometimes, there is a way to stand strong and love well. What one word would you choose to describe your feelings about starting this study? How does this word reflect your expectations? How have you experienced the tension between loving others where they are in life and standing firm to God’s principles in the Bible? Play the video segment for session 1. As you watch, use the following outline to record any thoughts, questions, or points that stand out to you. In the video, Chris shares about making changes in his life after becoming a Christian. What changes did you make after inviting Jesus into your life? How did others, especially your family and friends, respond when they saw the changes you made after becoming a follower of Jesus? Read John 17:13-19. What surprises you most about Jesus’ prayer, considering that He was about to die the next day? Why do you think Jesus asks God not to take His followers out of the world? What comes to mind when you hear the word sanctified at the end of this passage? What does sanctified mean to you? Jesus said, “You are the light of the world” (Matthew 5:14). What does it mean for you to let your light shine where others can see it? Close out today’s session by completing this short activity on your own. Briefly review the video outline and any notes you took. Write down the most significant point you took away from this session — from the teaching, activities, or discussions. What I want to remember from this session is . . .
Go around the room and share any personal prayer requests you’d like the group to pray about. Conclude your session by praying for these requests together. Ask God to work in each of your hearts throughout the week as you reflect on all you’ve covered during this first meeting. Come share your thoughts on The Daniel Dilemma on our blog. We would love to hear from you!